L Arginine supplement is useful in various conditions related to blood vessels and heart including chest pain, congestive heart failure (CHF) and coronary artery disease. It is also used as an effective treatment for high blood pressure during pregnancy, boosting immune system, improving athletic performance, reduced mental ability in seniors, leg pain due to blocked arteries, male infertility and erectile dysfunction. It is also used in combination with other drugs and supplements for conditions like cold, migraine headaches, for improving wound healing, reducing infections etc. L-arginine can even be applied to skin to increase blood flow to cold hands and feet and speed up the process of wound healing. It can also be used as a cream in both men and women for sexual problems. 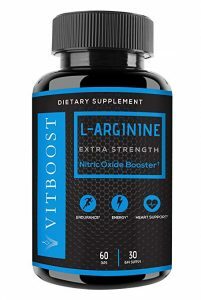 L-arginine is converted inside the body into a compound known as nitric oxide. Nitric oxide is essential for blood vessels to be able to open wider for enhanced blood flow. Thus it is a nitric oxide booster. It also stimulates the secretion of insulin, growth hormones and other essential compounds in the body. In Chest Pain: L-arginine seems to reduce symptoms and enhance exercise tolerance as well as quality of life in angina patients. However, it apparently doesn’t improve the disease itself. 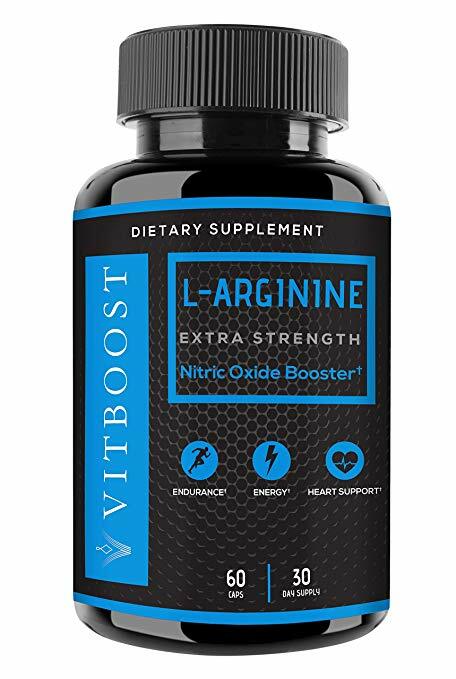 Nitrate Tolerance: It seems that 700 mg of L-arginine four times every day prevents nitrate tolerance in patients that take nitroglycerin for angina (chest pain). High Blood Pressure: Early evidence shows that taking L-arginine by mouth can decrease blood pressure in healthy individuals, and patients of high blood pressure as well as those with slightly high blood pressure with or without diabetes. Leg Pain due to Poor Blood Flow (Peripheral Artery Disease): Studies show that taking L-arginine orally or by IV for around 8 weeks enhances the blood flow in patients of peripheral artery disease. Nevertheless, long-term use (up to 6 months) has not been found to enhance walking speed or distance in these patients. Erectile Dysfunction: Daily 5 gm of L-arginine when taken daily by mouth has been seen to improve ED. Lower doses might not work. So, if you have one of the above conditions, consider taking L-arginine supplement and you may see positive effects. But don’t forget to consult your doctor first.